Why stoves from Nuf series are better than cast iron stoves? 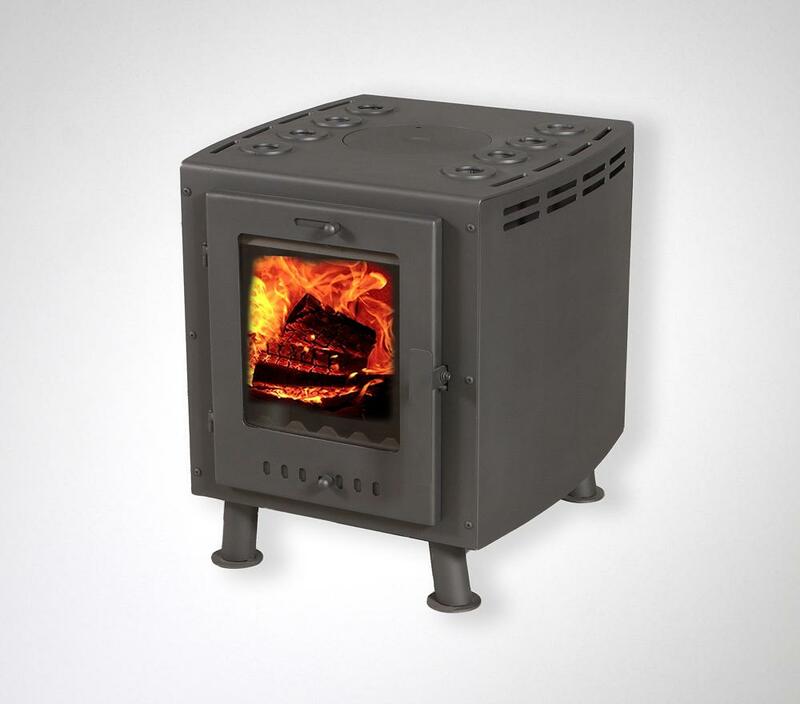 Nuf series stoves are made of special alloy steel which mechanical breakdown temperature is at 1480⁰C while cast iron starts to break down at 1280⁰C. Thanks to different construction of the Nuf stoves they are the best in both emitting heat and room air convection efficiency. How to do that? We used duo convection principle that allowed not to line the inner walls with ceramic materials substituting them with thick wall convection pipes that determine the size of the furnace, protects the case and maintains effective heat emission into the room. What is duo convection? Actually everything of genius is simple. Part of the heat is heating the thick wall pipes that cross the furnace vertically and their both ends are open. In such pipe there is air that expands during heating and rises up. The higher it rises, the hotter it gets and moves further faster. But the cold air that is near the floor according to the laws of physics because of the draught is sucked into the pipes and heats up. This principle is used for many convection stoves but it has many disadvantages. Part of the heat gets to the walls of the stove and therefore there is heat emission. According to this principle also the cast iron stoves are working. Also this system is not perfect. Therefore we improved it. We created double case with open air flow channels at the bottom and ventilation outlets on the sides. So we combined both systems and got unique duo convection system that gives unique efficiency. External air supply. Exactly like the best furnaces also the stoves have this option that maintains efficient burning and good microclimate in the room. Also this construction allows the airwash and CB systems to work more effectively. Moreover, it is possible to choose a model where all necessary air is supplied from outside. The stove has large heating surface. Not all need the heating surface but if it is included in the design so effortlessly then why not? And it is actually quite exciting to boil mulled wine on your own wood stove when you can see the flames dancing inside. That is enough with romanticism, back to technicalities... It has very big furnace that allows using big pieces of wood and long billets. As a result we get very good numbers not only for heat emission but also for long-term burning and economy. Of course we could go on and on, but it is better to see once than to hear 100 times. Therefore find some time to see the new Nufs in reality and make a decision.